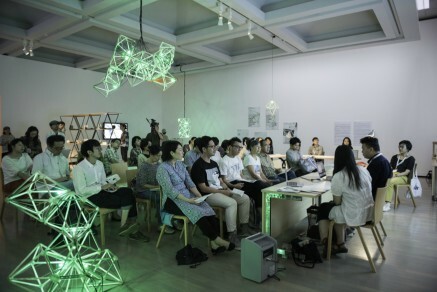 Triennale, Yokohama: A Green light workshop..
Few might be aware, but Green light also migrated to Yokohama. 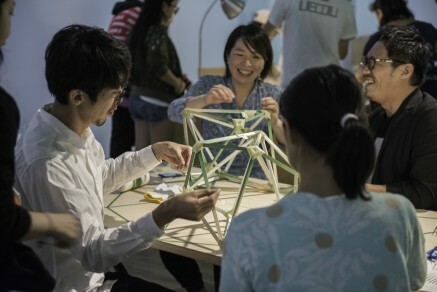 During the Yokohama Triennale (4th of aug – 5th of nov) Green light – an artistic workshop takes place in the biggest international art exhibition of Japan, with one million visitors per year. Japan, as the island that it is, accepted 2017 28 applications for asylum, the year before 27 were accepted. The reason is not that no refugees would find get to Japan, but because the country rejects up to 99% of asylum requests. Most of the migrants come from the Philippines, Turkey, Indonesia or Nepal. One of the largest contributors to the UNHCR (United Nations High Commissioner for Refugees) the country has one of the strictest migration policies worldwide. However Japan has also a problem with marginalization. Not so much a phenomenon linked to matters of migration, but a phenomenon linked to the very specific progress of modernization that transformed Japan since the edge of the 20th century. The phenomenon is called “Hikikomori”. Hikikomori is not connected to mental health condition necessarily, it is just the phenomenon of plain isolation from society, that endures longer than six months, accompanied by excessive computer gaming or internet use ('excessive' understood in relative terms). The field of research does neither know a lot about this phenomenon and is not sure how to categorize Hikikomori. Hikikomori just stop engaging socially, thus barely leave their homes. 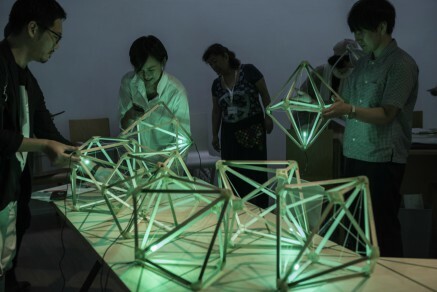 Green light Yokohama still invites visitors to publiciate and to discuss within the Shared Learning issues of migration and the subsequent challenges for co-existence, being embedded in ancient structures of state and law. How important connection for a society is, is thoroughly discussed in Robert D. Putnams paper “Bowlin’ Alone”. The retired Harvard professor indicates that individuals of a society must have interconnection with each other, in order to compensate non-existing, institutionalized support, as loans, the emotional support in times of unemployment or break-ups or in times of depressions. The more people an individual can count on the higher is the possibility that this person gets through hard or tough times. This does not only apply to any person now matter the socioeconomic background, but also influences principals of democratic participation to economical wealth of whole societies in the long road. Hence Green light Yokohama has raised another legitimate question. Is Green light also implementable with groups others than refugees? Since Green light is a project that constructs a space where interconnection can take place which could not in the stiff setting of societal order, the answer only can be: yes. If marginalization means the loss of curiosity for what is happening in a society, because of whatever reasons, than Green light can become a one-of-a-kind-experience. Putnam, Robert D. (2000): Bowling Alone: The collapse and revival of American community. New York: Simon and Schuster.